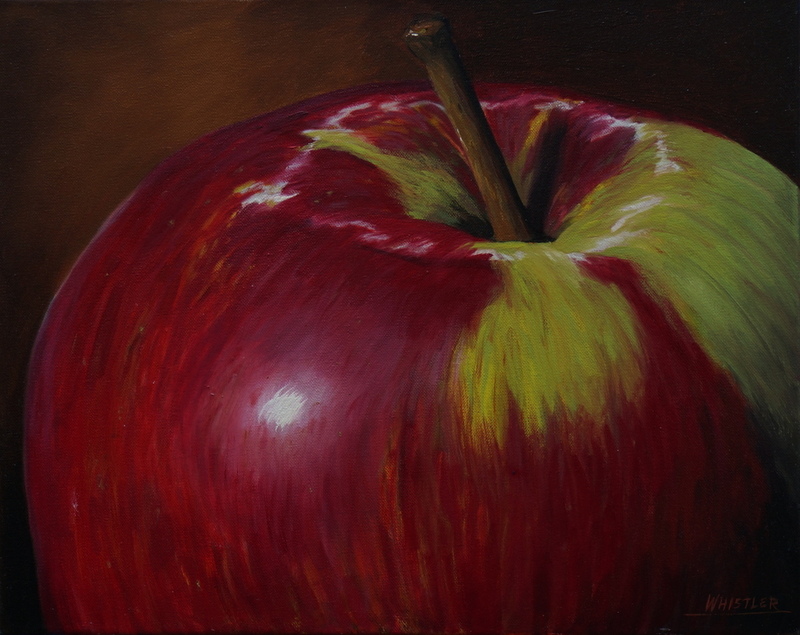 The Big Apple 16x20 Oil on canvas. Up close and detailed view of an Apple. By Robert Whistler. 5" x 6.25"7" x 8.75"9" x 11.25"11" x 13.75"13" x 16.5"13.25" x 16.75"